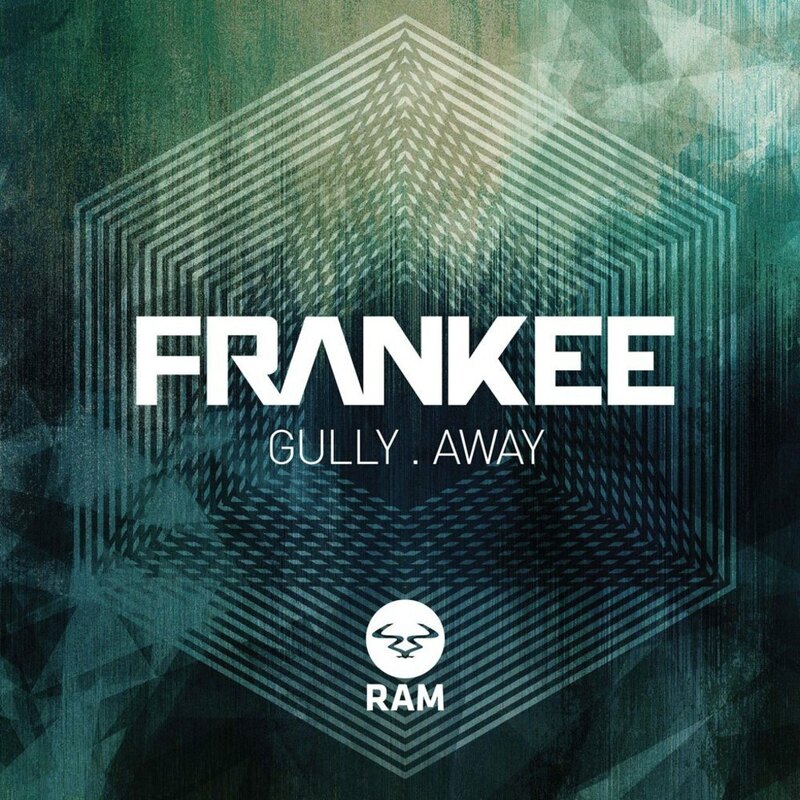 Frankee is one of those producers that embody the true spirit of drum & bass. He’s a fearless artist who’s not afraid to try something different, blending up influences and styles and packing his tunes with plenty of chunky beats, lashings of filthy bass and an abundance of experimental dives into just about every other face-melting genre out there! Proving the above to be true with mighty aplomb, the A side to Frankee’s latest single for Ram Records is about as disturbingly heavy as it comes. Kicking off with the aptly named ‘Gully’ we’re served up a track that means serious business. Immense horn-like synths pave the way for intense lasers that penetrate every inch of you before you’re washed away with a tsunami of rumbling bass. Gully indeed, and likely to cause utter dance floor devastation whenever it is dropped. Next up Frankee takes us on a different journey, opting for a stunningly beautiful track, soaked with haunting melodies and crisp, rolling breakbeats. Featuring vocals from Janine Small ‘Away’ progresses with electro house style synth stabs and emotive hooks before dropping down to an ethereal breakdown providing precious moments to gather yourself before the breaks come rolling in again. ‘Away’ is a gorgeous departure from the skull-cracking weight of ‘Gully’ and proves Frankee is a producer with plenty of tricks up his sleeve. ‘Away’ featured on Andy C’s recent ‘Nightlife 6’ compilation, having been a staple of his sets for months and with such diversity and original ideas on display it’s easy to see why.